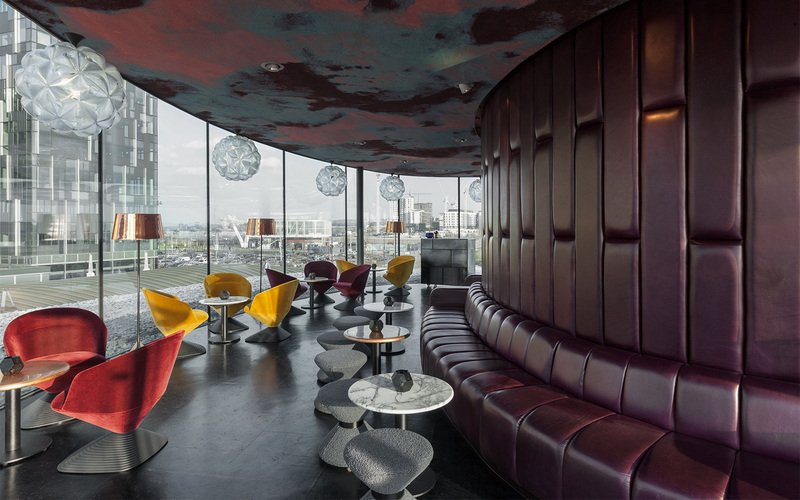 Located on London’s Greenwich Peninsula, Craft London is a popular cocktail bar sited on the top floor of one of two glass pavilions by Marks Barfield Architects. 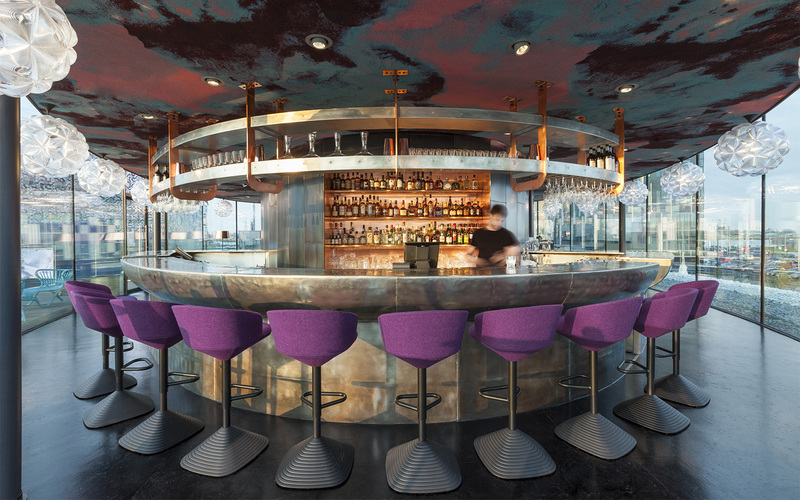 For the interiors, Design Research Studio, under the creative direction of famed designer Tom Dixon, employed an eclectic mix of materials, patterns and colours. The colour palette is subdued, with furnishings in deep reds, purples and yellows against a black cork floor. The watercolour-like design chosen for the ceiling is the result of an ancient Chinese technique used in a modern and powerful way that adds a translucent and artistic feeling to the design. The Craft London project is a perfect example of how a standard carpet design can be recoloured and transformed into a result that exceeds the expectations of the customer. And of – quite literally – turning traditional design methods upside-down. Don’t just think of carpet purely as a flooring material. 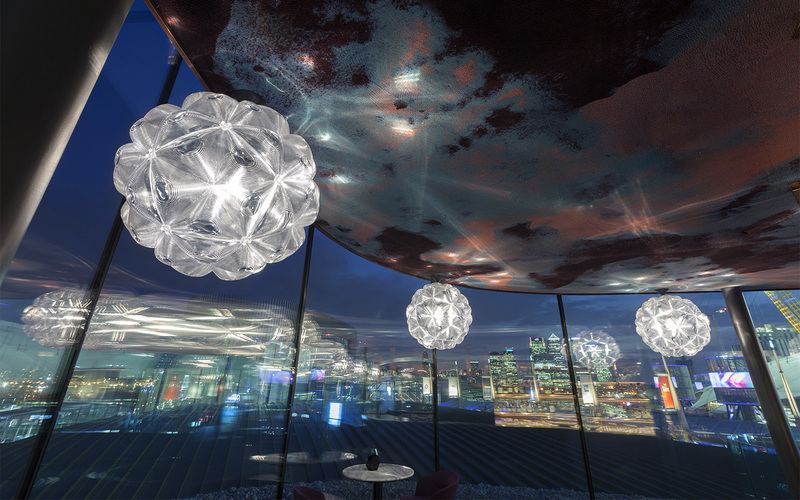 It can be used on walls, and even ceilings as seen here, to create incredible visual effects as well as improving acoustics. Design vision. Standard carpet designs can be recoloured in any tones of your choice to create a unique carpet for your project.